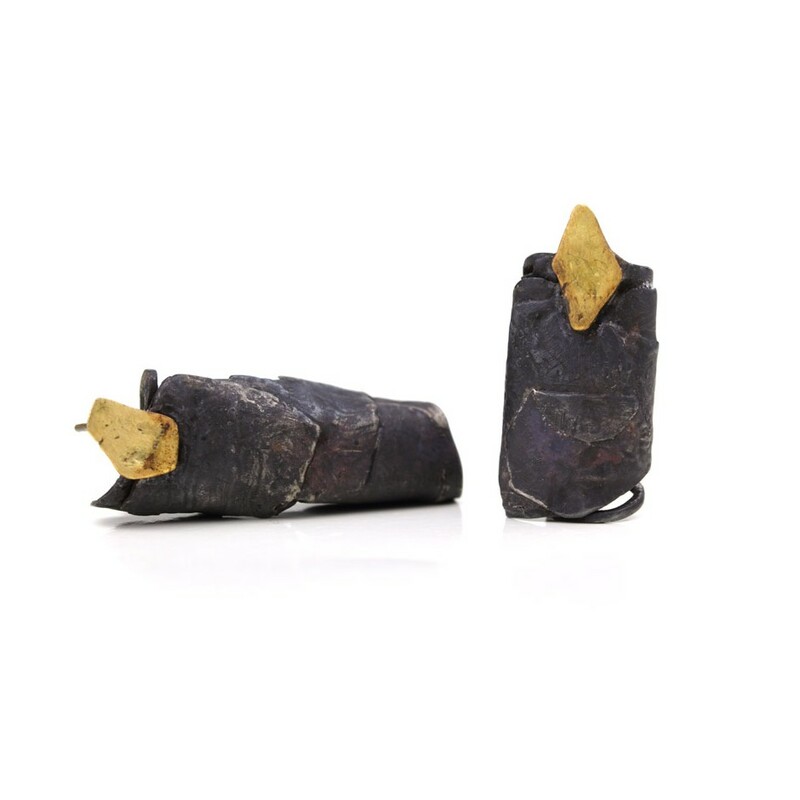 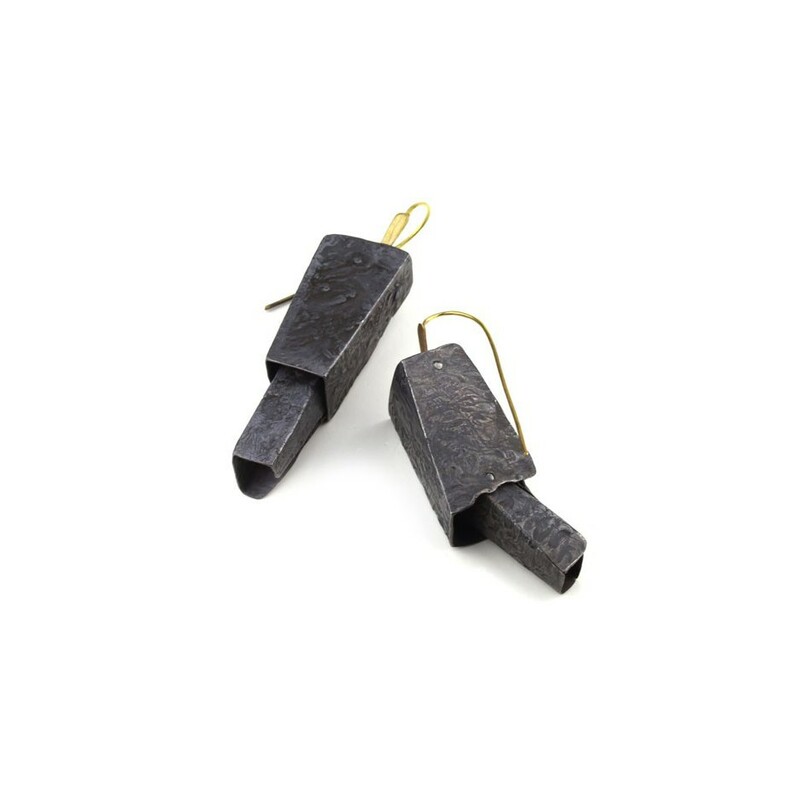 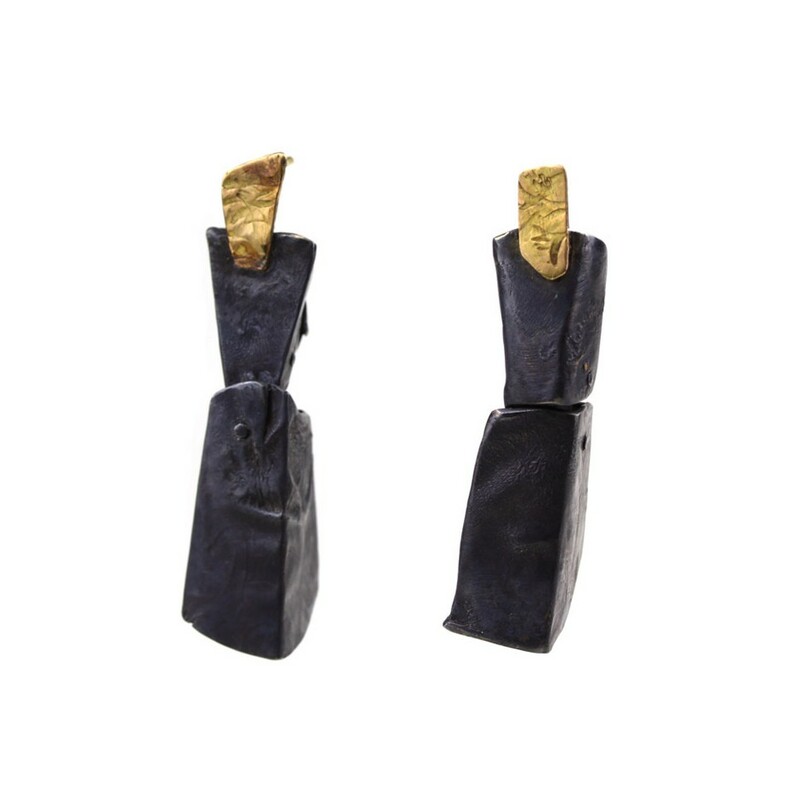 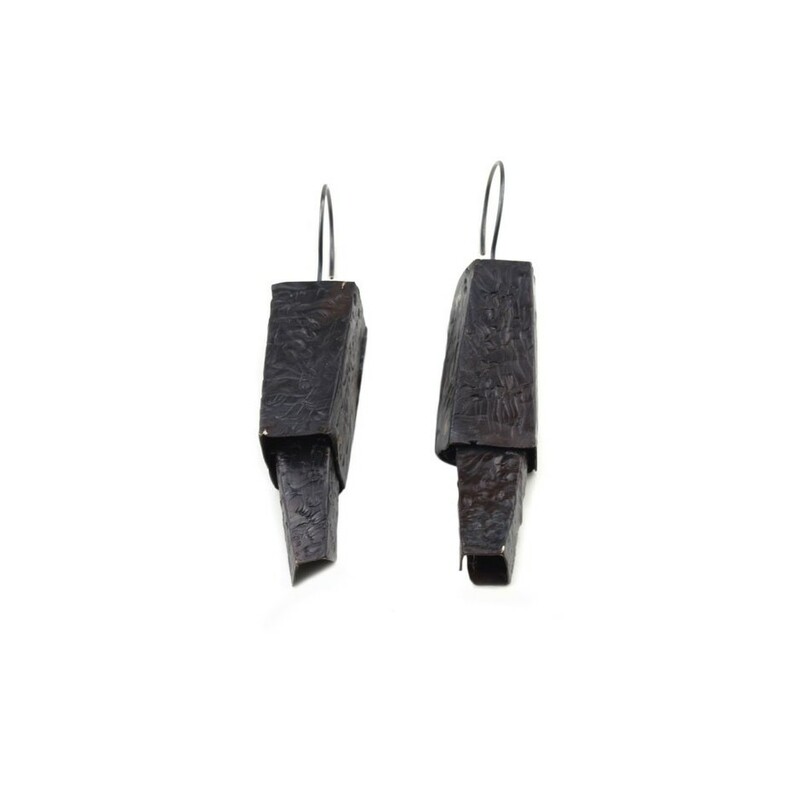 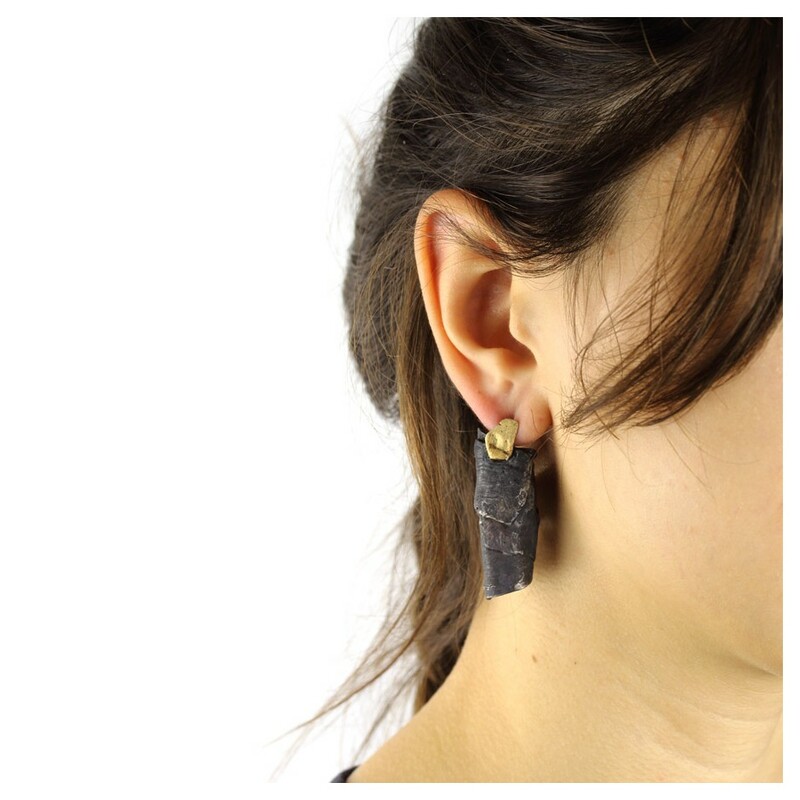 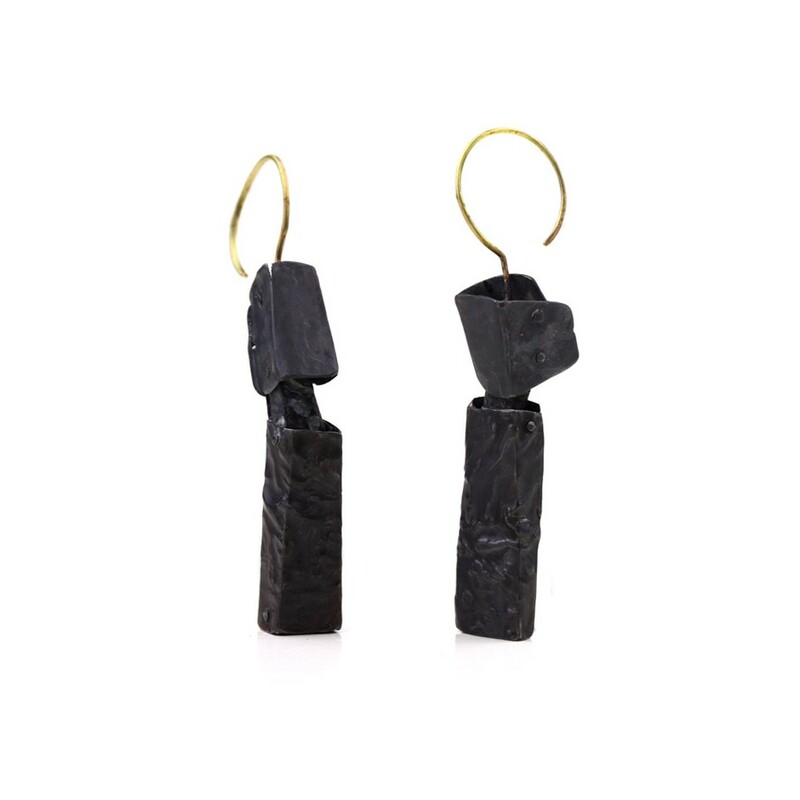 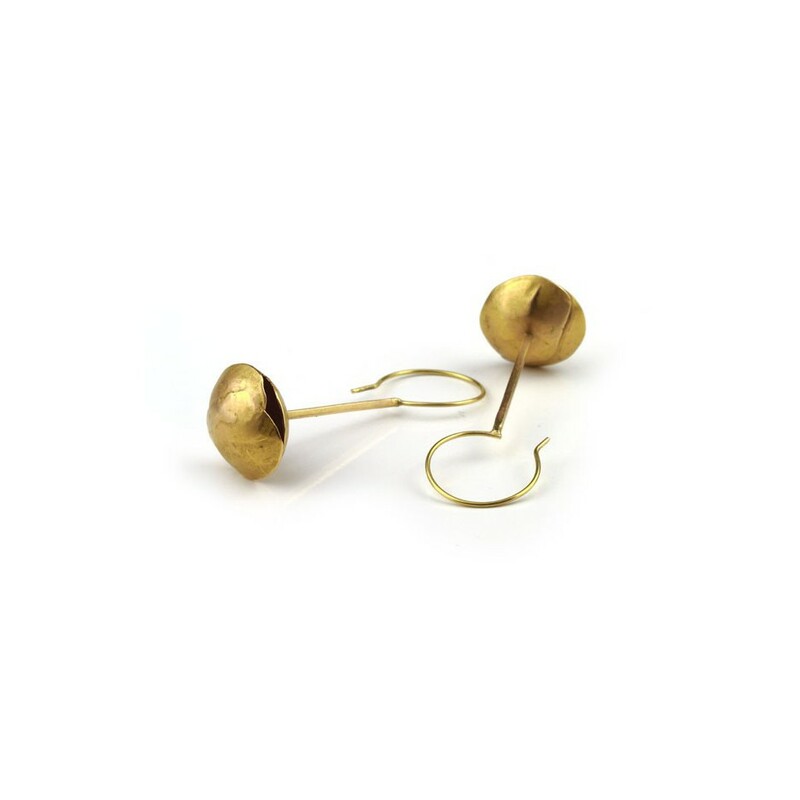 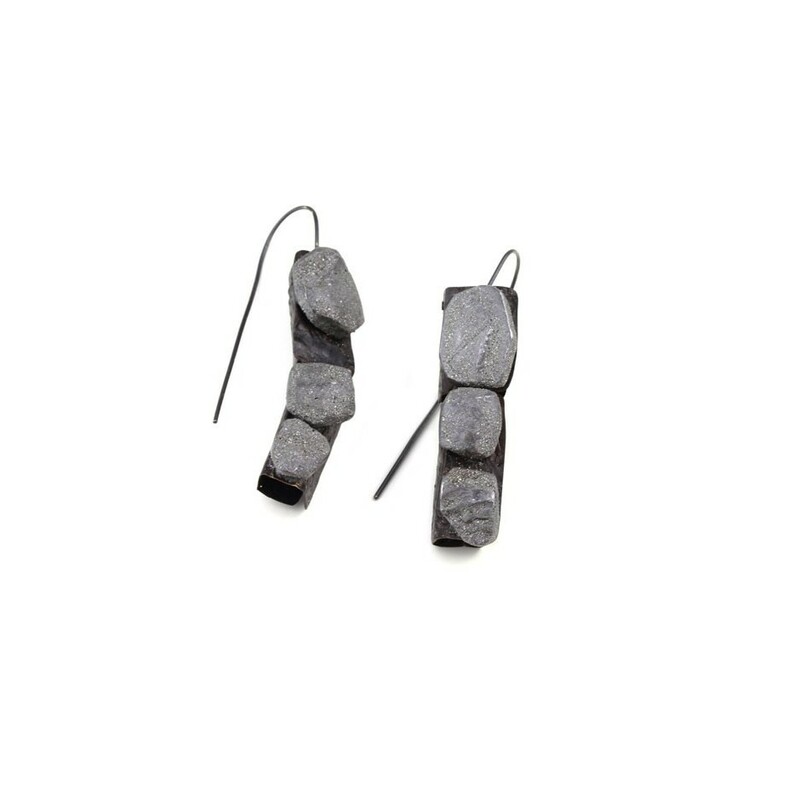 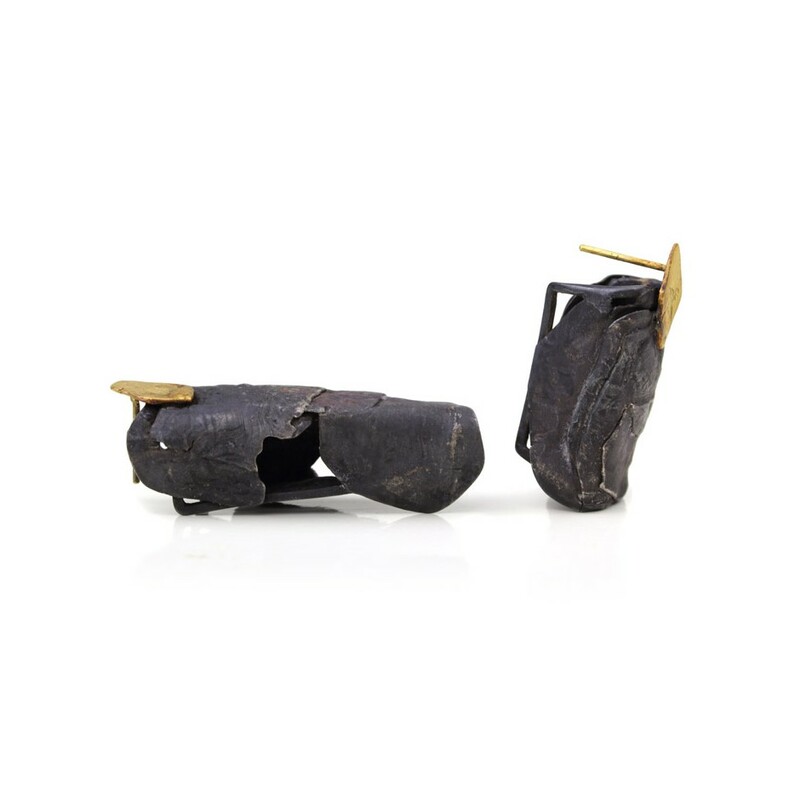 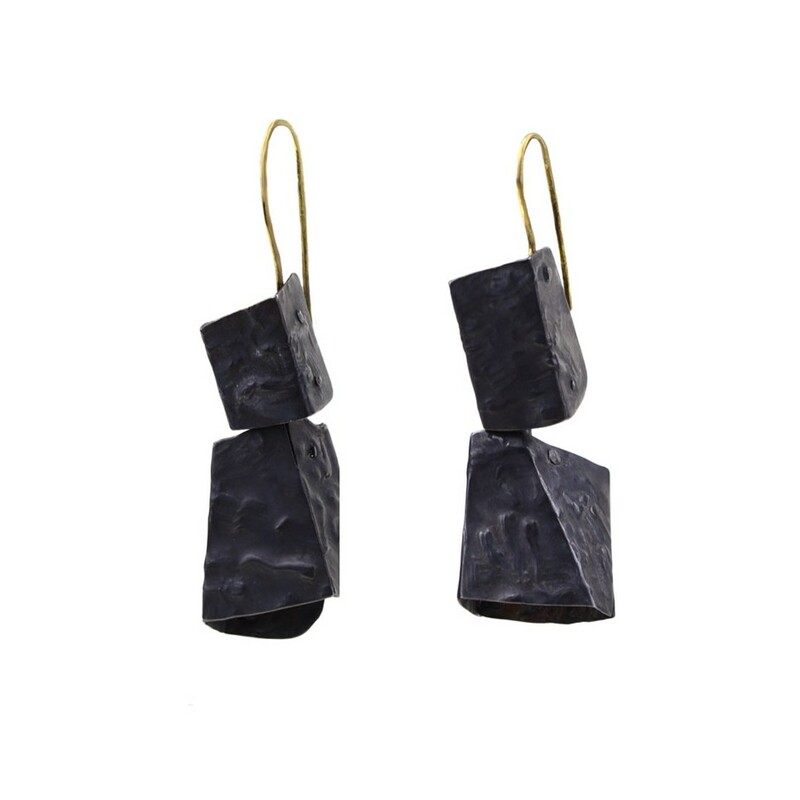 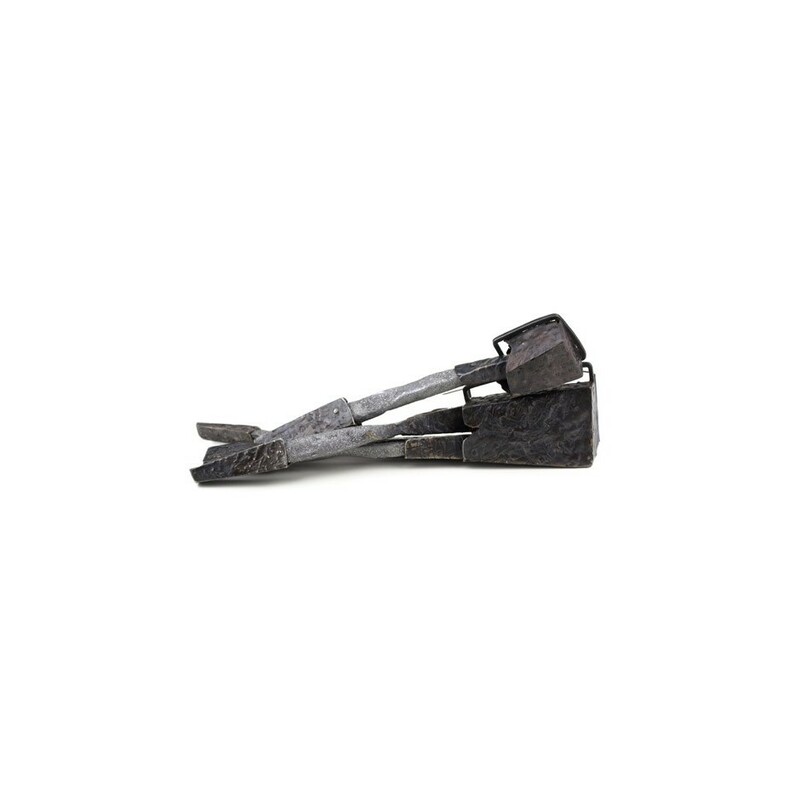 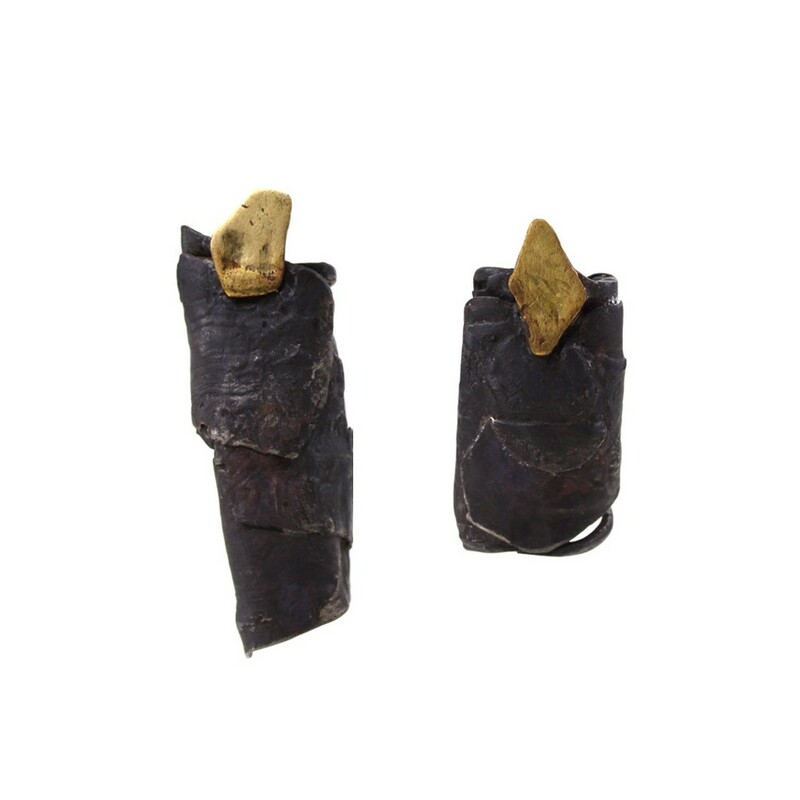 Dina Abargil 24 - Earrings - Earrings with primitive shapes, made of Shibuichi, oxidized silver and yellow gold. 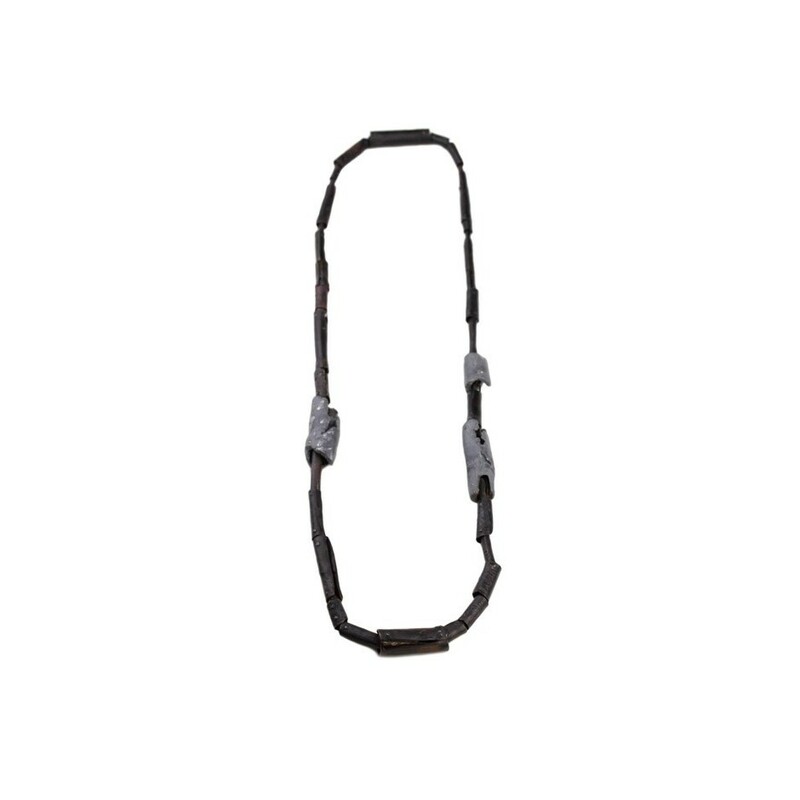 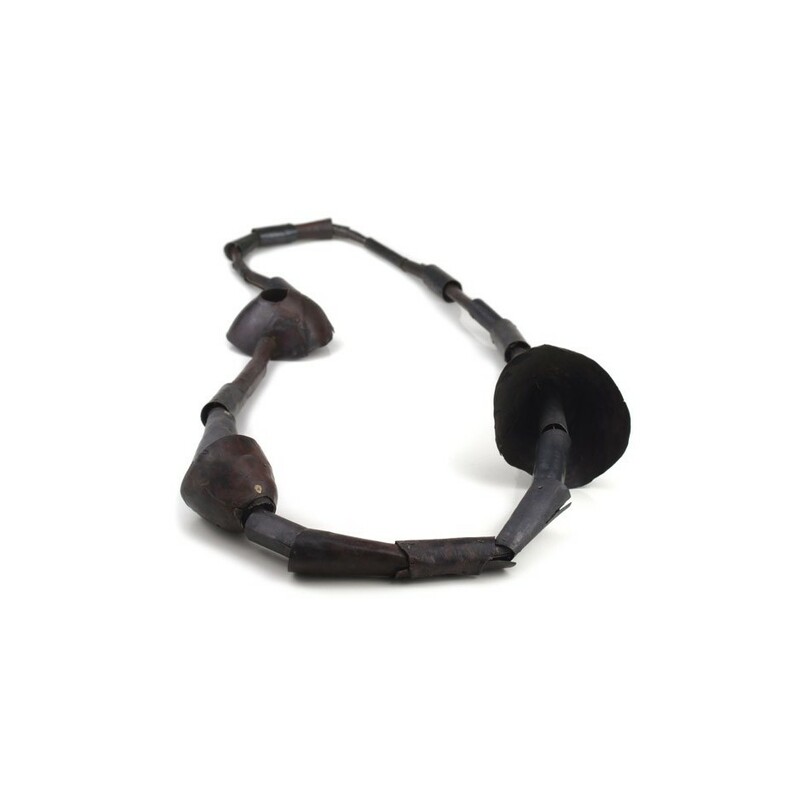 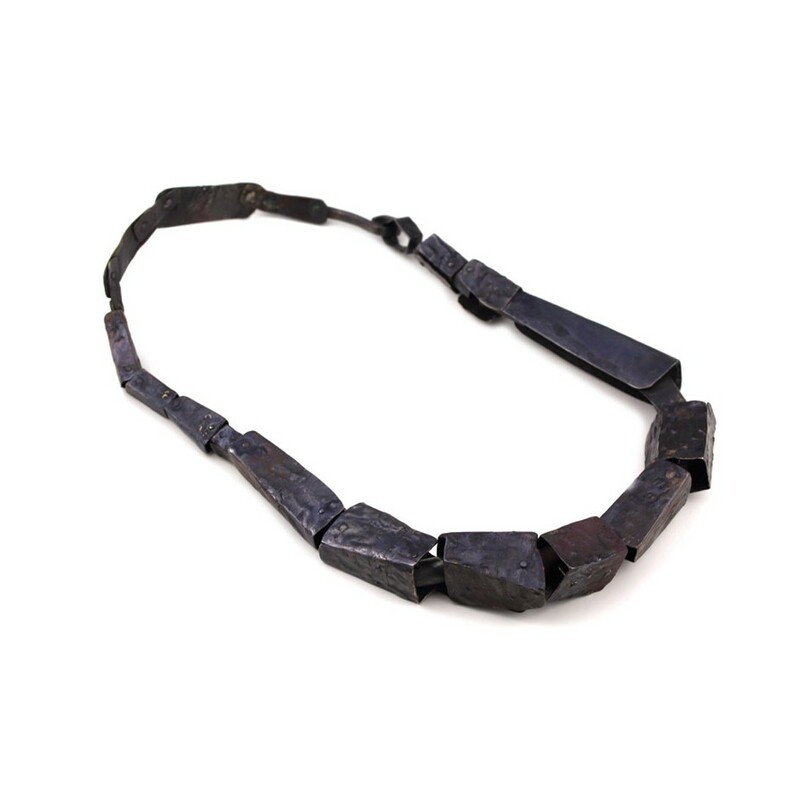 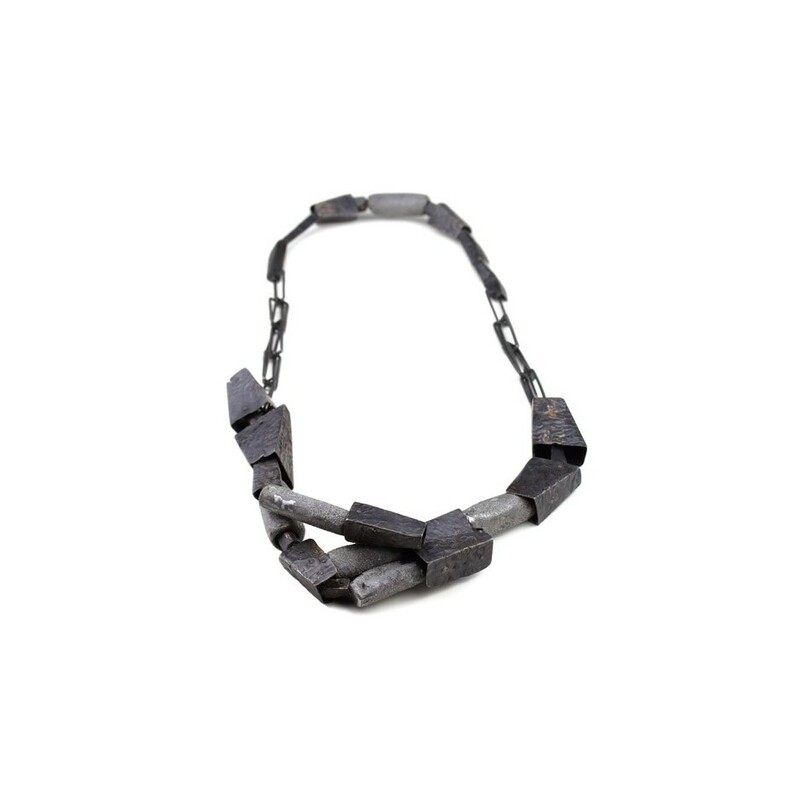 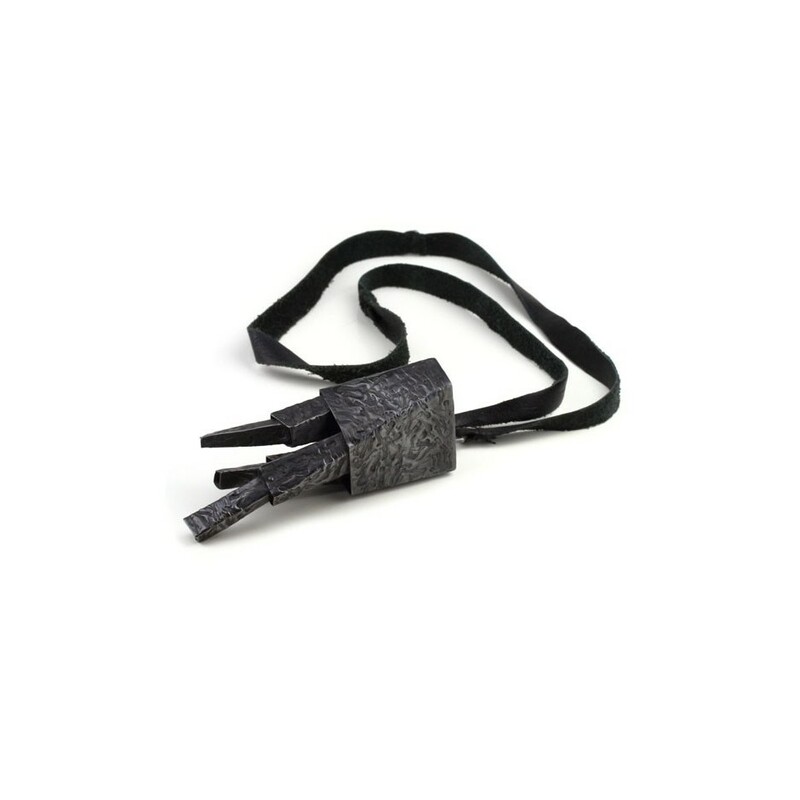 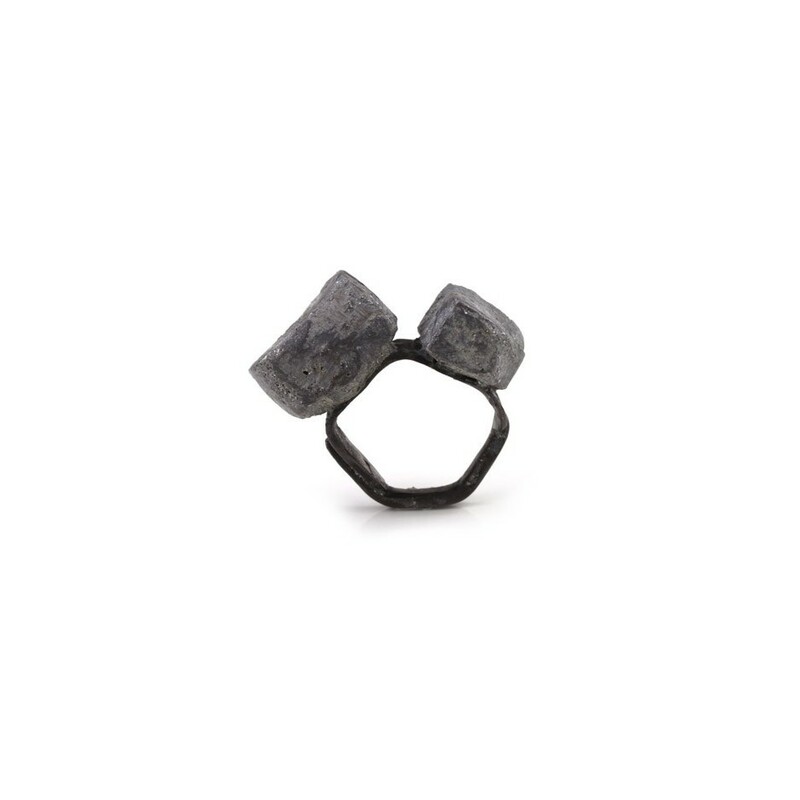 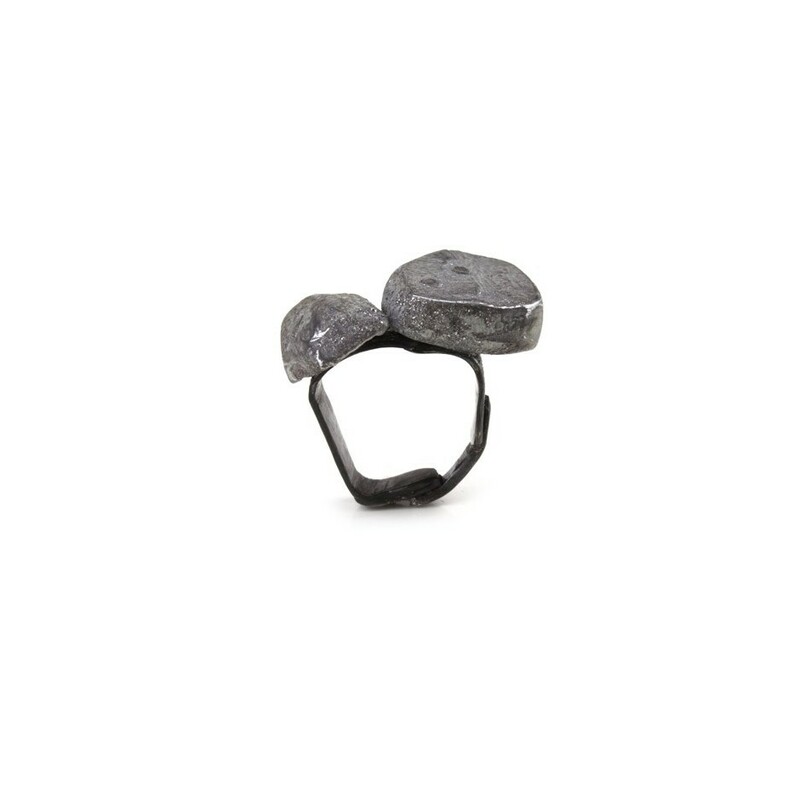 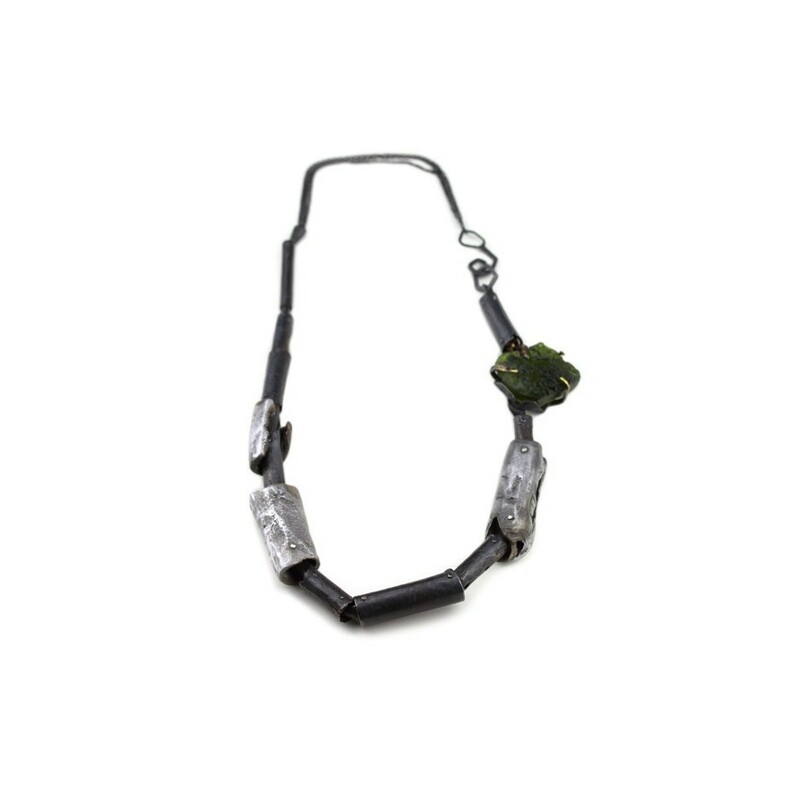 Dina Abargil's jewellery is very powerful. 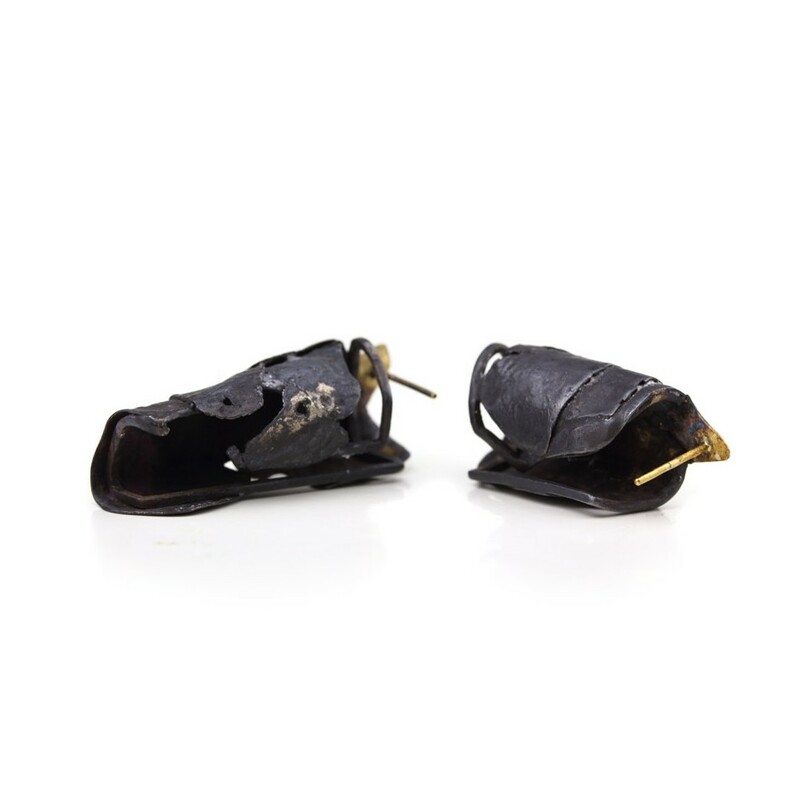 The works reveal a strong passion for the materials used, shibuichi, Shakudo, iron, wood, gold, and come forward in bold, dynamic forms. 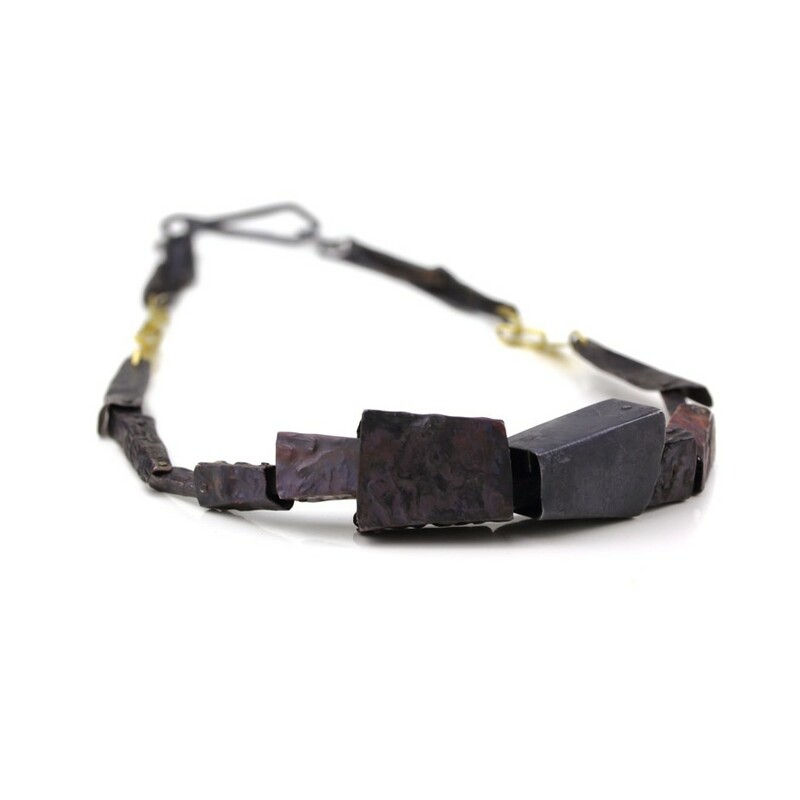 The colours are usually different shades of browns, red or black, enhancing the surfaces and textures of the materials used.